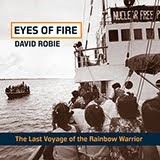 (My own reporting on West Papua as a journalist began in 1983 when at a nuclear-free and independent Pacific conference in Port Vila I interviewed Papuan leaders such as Rex Rumakiek. 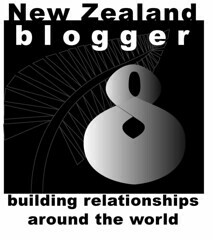 At that time hardly anybody seemed to be writing about the issues in New Zealand). Journalists and human rights activists have long been barred from entering the two provinces that make up the region of West Papua and a new "more relaxed" policy introduced by Jakarta is flawed. It has also been shown to have not made any significant change towards “openness” in spite of the promise of a "new dawn". This media policy has also made it difficult to report the many important development and socio-cultural stories that need telling as well. Yet better coverage by other media in the world, by news services such as Al Jazeera, for example, and independent journalists, is raising the transparency of what is happening in West Papua. This, in turn, is leading to more international concern, scrutiny and protest. On Friday, Amnesty International welcomed the announcement by Indonesia’s National Human Rights Commission (Komnas HAM) that it would recommend the formation of a inquiry team to undertake a detailed investigation into the killings of four teenager students by the security forces and injuries to dozens of others in Paniai, Papua province, last December. Victims and their families as well as human rights groups have been calling for justice since this outrage happened and there is now some “genuine hope for accountability”. Also, last week the people and government of Vanuatu were awarded the John Rumbiak Human Rights Defenders Award for recognition of their work for West Papua. Congratulations to the country that has almost alone stood in solidarity with the Papuans for so long in defiance of pressure from larger neighbours. April 9 2015: New footage from the Minority Rights Group International Paniai massacre last December provided compelling evidence of the atrocity in spite of denials by Indonesian authorities. This was also a clear message that the military have been out of control. April 2: Launch of the PNG Union for West Papua. Key spokespeople include Gary Juffa, Governor of Oro province, and Powes Parkop, Governor of the National Capital District. (I learned much from Powes when we were both academics at the national University of Papua New Guinea in the mid-1990s). April 1: In London, a major demonstration led by the Indonesian human rights group TAPOL and others demanded "free and open access" to West Papua for international journalists, humanitarian agencies and human rights organisations. March 31: Leaders of the newly formed United Liberation Movement for West Papua leaders (including Benny Wenda, Octo Mote and Rex Rumakiek) met with Australian and some Aotearoa/New Zealand solidarity groups. Their campaign for full membership for West Papua of the Melanesian Spearhead Group (MSG) is critical in the hope of producing a positive outcome at the July meeting in Honiara, Solomon Islands. March 28: Papua New Guinea Prime Minister Peter O’Neill called on the Indonesian government to fulfill the promise of its former president, Susilio Bambang Yudhoyono, to reduce the military stationed in West Papua. 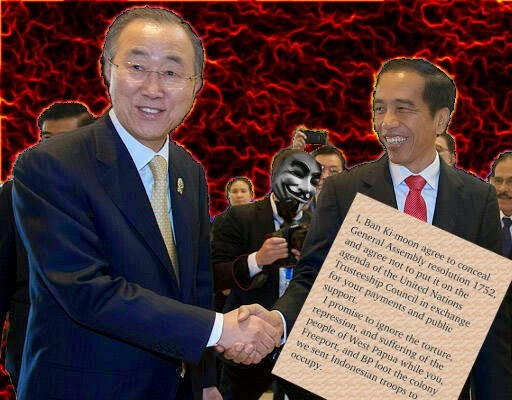 Ban-Ki-moon (left) and Indonesian President Joko Widodo to "conceal"
UN General Assembly Resolution 1752. O’Neill hopes President Joko Widodo·would keep the former leader's promise. President Joko has been a disappointment since his human rights pledges·when elected last year. Never before has there been such "blunt talking" about West Papua by any previous Papua New Guinean leader. March 19: Indonesian security forces shot four people, one of them being killed for attending a fundraiser rally in Yahukimo for the victims of Cyclone Pam in Vanuatu. Four others were arrested. The rally was organised by the churches. New Zealand should be demanding more action from our government and media about West Papua and more accountability from the Indonesians. Our initiatives are too weak and ineffective. The West Papuans are our Pacific neighbours and they need support from all Pacific Islanders. 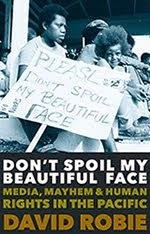 Professor David Robie is author of Don't Spoil My Beautiful Face: Media, Mayhem and Human Rights in the Pacific (Little Island Press, 2014). In 1961, the Netherlands wanted the United Nations to assume responsibility for the colony as a UN trust territory, as explained in the United Nations Charter, Chapter 12. But the United States which had businessmen who wanted Papua’s gold and copper would not support the application to the UN unless it included an Indonesian text asking the United Nations to entrust the colony to Indonesian occupation. That is why the “New York Agreement” makes all the promises which Indonesia ignored once it got its troops in. My website has links to the US and other records. Andrew Johnson is a 20-year veteran with the Australia West Papua Association, specialising in historical research and analysis.